Jonathan Herbert, specialist personal injury lawyer based at Thomson Snell & Passmore’s Tunbridge Wells and Dartford (Thames Gateway) Offices, has secured £50,000 for a claimant after she suffered physical and psychological injuries after she was attacked by a care home resident whilst working as a support care worker. The claimant in this case was a vulnerable person with a past history of mild depression. She attended a local school in Tonbridge which specialised in dance and theatre. Her ultimate career plan was to qualify as a dance therapist. In order to gain some practical experience the claimant undertook a role as a support care worker in a local care home in Tunbridge Wells. Unfortunately, one of the residents became hostile, initially being verbally abusive and then being physically abusive. The claimant reported her concerns to the home, but no action was taken until a particularly frightening and violent assault which lead the claimant to suffer soft tissue injuries to her wrist, as well as psychiatric injury. Although she did not suffer any fractures, the claimant continued to suffer with tenderness in the wrist, as well as a reduction in grip strength. The orthopaedic expert, instructed by us to review the claimant, felt that a review by a psychiatric expert was necessary. The psychiatric expert went on to diagnose moderate/severe post traumatic stress disorder (PTSD) and a serious exacerbation of her pre-existing depression. She suffered with severe anxiety, sleep disturbance, alteration in mood and increased irritability. The relationship with her husband suffered as a consequence. It was the opinion of our experts that the claimant was likely to experience disadvantage in relation to obtaining future employment as a result. The psychiatrist recommended that the claimant undergo treatment and we were able to secure interim payments to fund her treatment whilst litigation was on-going. 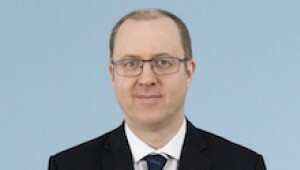 After much debate between the claimant’s experts and the defendant’s experts, (who did not agree with the diagnosis of PTSD), Jonathan Herbert was able to obtain a settlement of £50,000 to compensate the claimant for her pain and suffering and to cover the cost of her future treatment. Jonathan Herbert specialises in assault cases. If you would like to ask Jonathan a question about a potential case, or if you have a general query about any personal injury, contact him on 01892 701226 in confidence. If you’ve had an accident at work and believe your employer failed to take adequate steps to ensure your safety, we can help you bring a personal injury compensation claim. We are specialists in this area and have vast experience of dealing with claims for compensation following injuries at work. If you have suffered physical or mental injuries as a result of violent crime we can help you claim compensation from the Criminal Injuries Compensation Authority (CICA).